On any given day between May and October, the idea of leaving your air-conditioned car even just to make the short-but-sweaty walk into a bar or restaurant seems overwhelming. Then, suddenly, the day arrives when eating inside becomes a ridiculous proposition. 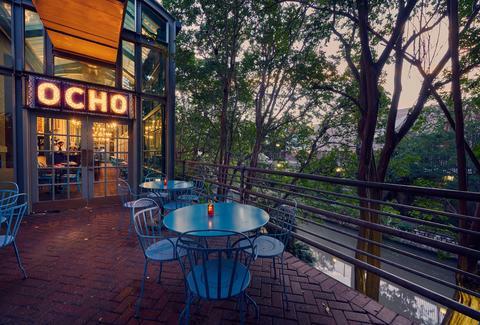 This being Texas, we never know when the heat or the humidity or the rain will drive us back indoors, so any chance to drink and dine al fresco should be seized and celebrated, and you can’t go wrong with these 14 premium patios. Beautiful and elegant without being stuffy, Ocho at the Hotel Havana is an amazing place to drink some tequila and watch the people. It’s the perfect place to take out-of-town guests when you want to show off our ciudad linda. Launched in 2015, Paramour is decidedly more upscale than most of its fellow al fresco bars, which tend to be dog- and T-shirt-friendly. This rooftop lounge offers an outstanding vantage point from which to take in the skyline -- and the hobnobbers pretending for a night that SA is LA. There’s a surprise out back at this unassuming historic home-turned-restaurant -- a sprawling, enclosed yard with grass and trees and a bar and a stage. It’s intimate without feeling cramped -- a perfect setting for sharing a tableful of small plates with your nearest and dearest. 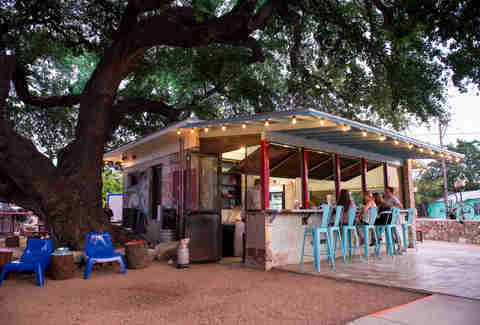 The name says it all as The Friendly Spot is Southtown’s open-air gathering space for all sorts of folks, and their dogs, seeking out a good michelada and an outdoor movie. Pull up a candy-colored retro lawn chair and make a new friend. Few SA spots are more beloved than The Cove, a favorite for a cross-section of Alamo City residents looking for sustainable, locally sourced food in a sociable atmosphere as well as 50+ home-grown beers on tap. Order food in one building and drinks in another, then head to the shared outside space to enjoy your bounty. Such efficiency! The atmosphere is relaxed and lively at this family-owned favorite. 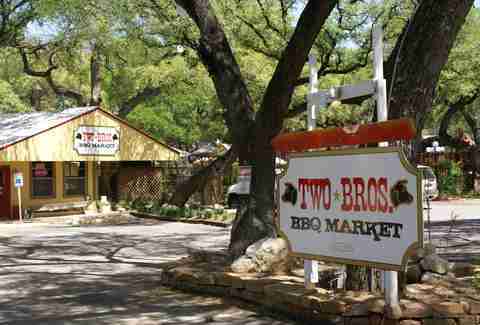 The only thing better than quality barbecue is quality barbecue eaten under the oak trees. You won’t find better brisket outside the Loop, or a prettier place to enjoy it. Tucked under US 281, Stay Golden is only peripherally part of The Pearl. It’s a super-casual place whose skilled, friendly bartenders strive to make everyone feel like a regular. The menu features interior-Mexico street foods -- tacos, ceviches, tortas, and the like -- and the bar offerings are extensive. The real draw, though, is the outdoor space. It can get crowded, but it’s worth the wait to sit and relax alongside this serene and lovely section of the river. Come for the fries, stay for the river view. Order at the counter -- beer and wine only, which won’t bother you a bit when you see how extensive the selection is -- then grab your drink and hit the bocce court out back. The two chefs behind one of SA’s newest bars have the chops to deliver top-shelf food and pair it with alcohol offerings that make sense. The patio space offers a great Downtown view and the squash tacos are buzzworthy. Happy hour drink prices at the Garage can’t be beat, and neither can the margaritas. 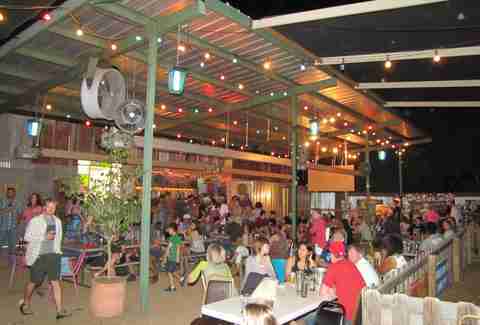 San Antonians must agree, since the outdoor bar needed to be expanded to accommodate the happy crowds. Fun and funky, with live music often. Mind that you don’t get too wild and run into a giant tree. 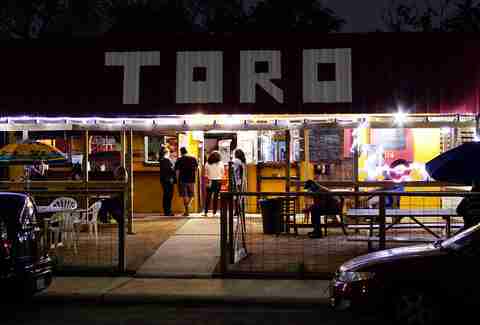 As long as you can manage that, you’ll find much to love about this comfy, casual bar/taco stand that abuts The Pearl without absorbing any of its slick-n-shiny vibe. 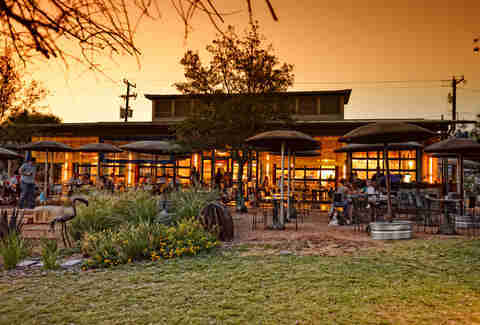 If your fantasy is to hold your outdoor wedding reception at a brewery, this is the place to do it. The beer is excellent, and the well-manicured outdoor space is huge and more reminiscent of museum grounds than a bar. Michelle Burgess lives and writes in San Antonio. She never turns down an assignment that somehow incorporates any or all four of the major food groups of Texas: chili, Tex-Mex, deep-fried, and barbecue.